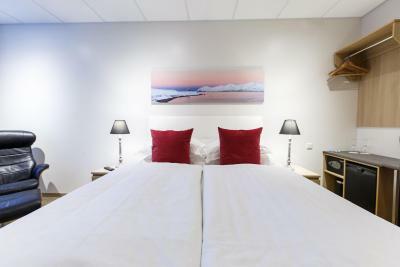 Lock in a great price for Centrum Guesthouse – rated 9 by recent guests! The location was great, you could walk everywhere, parking is a block away & the restrictions aren’t really clear, if in doubt ‘ask’. The hotel isn’t staffed but there is an attendant you can buzz if needed. 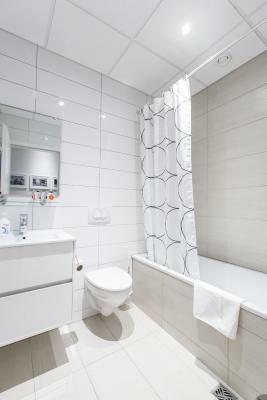 It has a small kitchen, common area, it was clean and the only hotel bathroom we stayed at that had a tub! It was great value for the money. 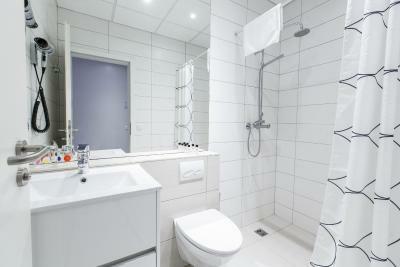 The building is new, the bed was extremely comfortable, the shower was great, and the location was perfect. The room is cozy and was perfect for a solo traveler like myself. 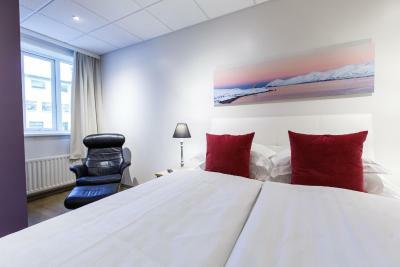 It was located in central Akureyri which was perfect for a night out. 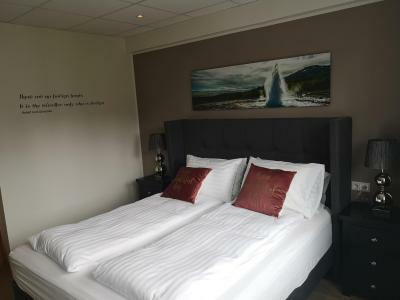 Centrally located in downtown Akureyri, near plenty of food and coffee shops, everything that I could ask for on a short stay. 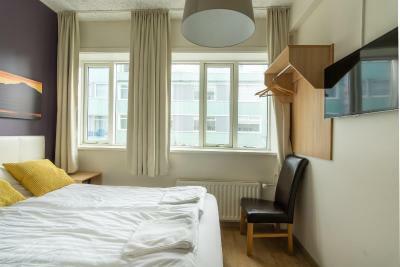 Everyone was very friendly and welcoming, the room itself was great as were the shared spaces. This guesthouse exceeded my expectations!! 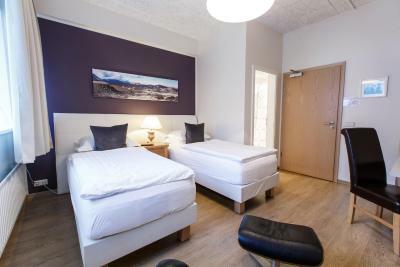 The staff is friendly, the location is in a nice area of Akureyri. The owner, Karstan, is one of the nicest people you will ever meet!!!! He has some nice suggestions of where to go, what to see etc....so talk to him if you need any travel advice. The kitchen is a bit small but it's really cute and has toaster, microwave and I heard the coffee is really good (from everyone). 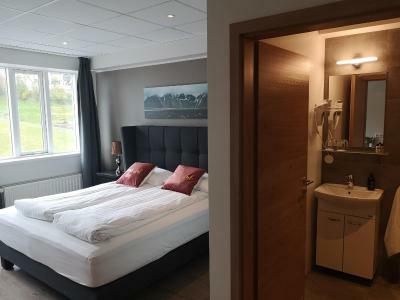 The beds are comfy and the bathroom is nice and clean. Everything was awesome! 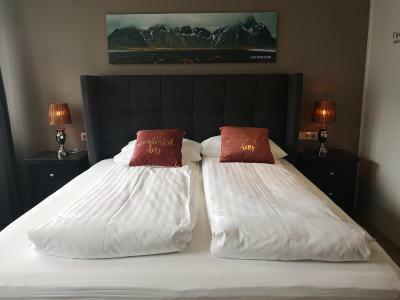 Rooms were very nice as were the staff. They were kindly able to accommodate an early check in give the super rainy weather. Prime location! 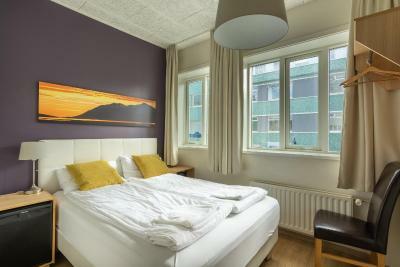 Location, good price compare to other Iceland accommodation. Staff was friendly, good coffee, nice room, walkable commerce is a plus. 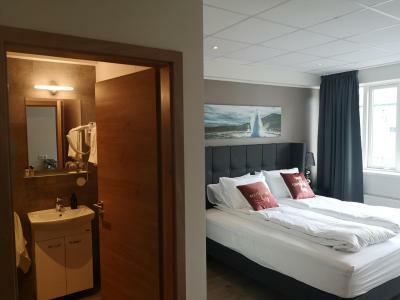 One of our top picks in Akureyri.Located in central Akureyri, Centrum Guest house offers free parking and brightly decorated rooms with free Wi-Fi access. 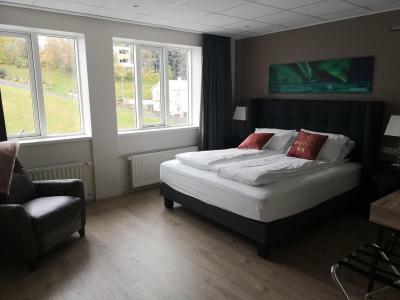 Akureyri Public Swimming Pool is 1,650 feet away. 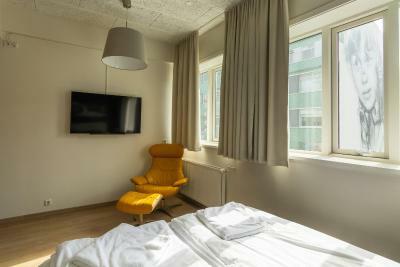 A TV with satellite channels and fridge are featured in each room at Guest house Centrum. 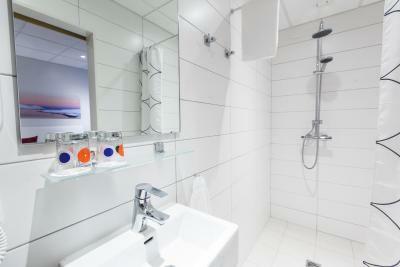 The fresh private bathrooms offer a shower. 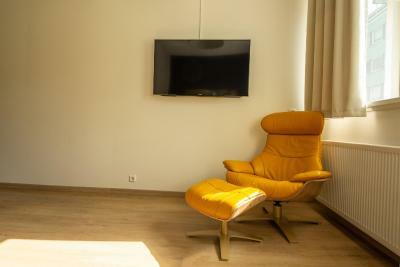 Guests can enjoy complimentary coffee and tea in the TV lounge. A ski storage room is available on site. Shops, restaurants and museums are found within a 3-minute walk. Jadar Golf Club is 1.9 mi away. Hlídarfjall Ski Center is 5 mi from the hostel. 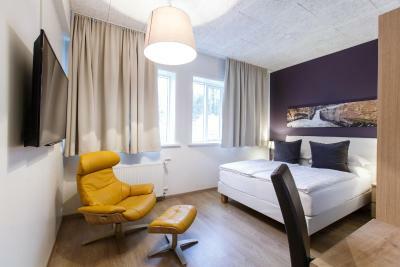 When would you like to stay at Centrum Guesthouse? 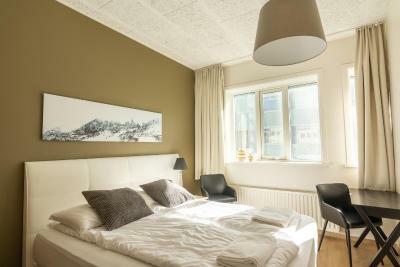 House Rules Centrum Guesthouse takes special requests – add in the next step! 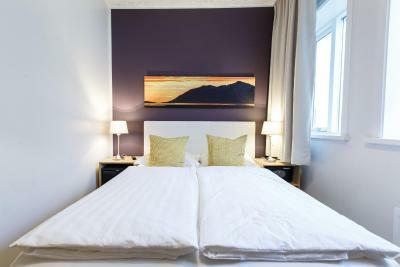 Centrum Guesthouse accepts these cards and reserves the right to temporarily hold an amount prior to arrival. 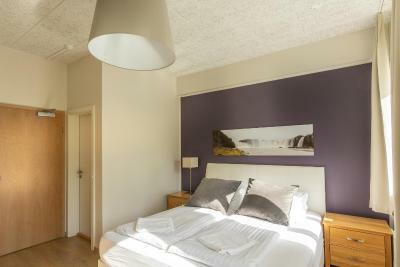 If you expect to arrive after 20:00, please inform Centrum Guest house in advance. 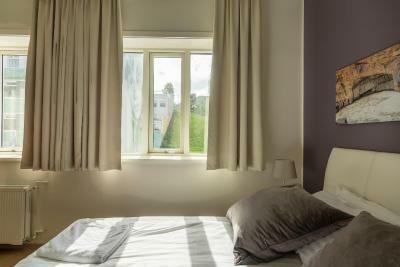 Bed . Easy check in . To much fabric soften smell of the bed sheet. 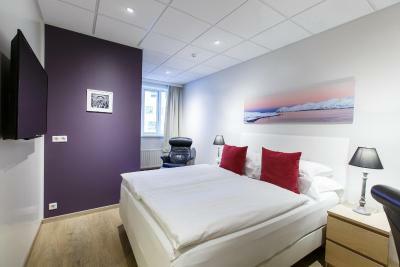 Very comfortable bed, clean room, excelent location. Everything great. 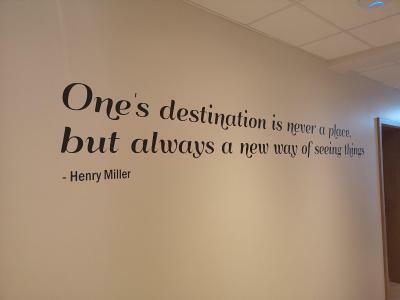 The place is renovated. We were in room 305 and it was newly equipped. Clean. Central. Small kitchen. Perfect. Perfect location. Clean. Comfy beds. Totally affordable. It is noisy, you can hear everything from the next room and also from the street. It is difficult to park near by, you have to walk with your suitcases. 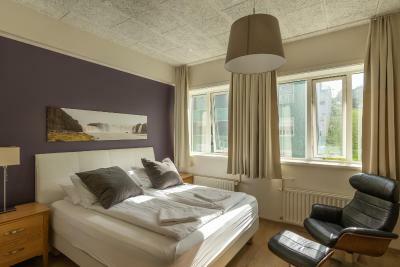 Very clean room in the city center. Easy check-in. Proper information provided in advance. "No reception" system dont have to suit everybody, but it works fine. Slightly difficult parking as you are located in the city centre. No breakfast. Situated in the centre, warm, with view on the street below, where i managed to park. 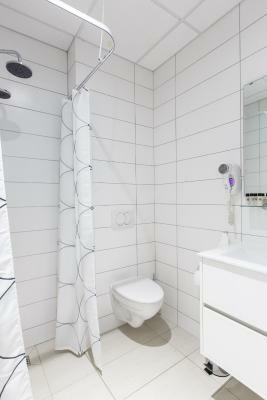 Private bathroom. Shared kitchen. TV, wifi. 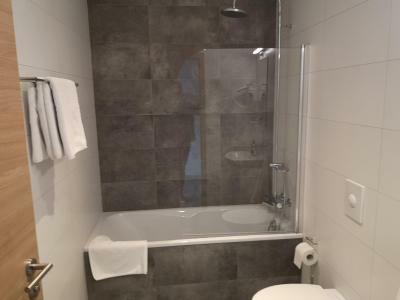 Great location, super easy transaction, simple, clean, comfortable space. The location is simply perfect! 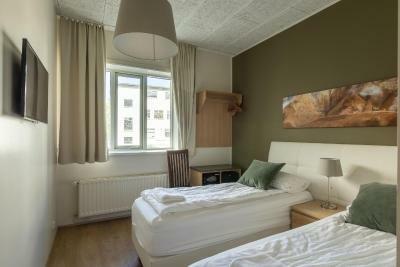 Additionally, the check-in and check-out is easy, the room is big and very clean. 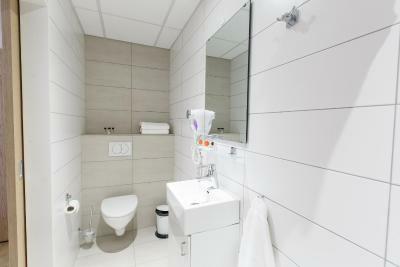 The bathroom is big, and view is nice and it has TV, minibar and safe-deposit box. We loved it! 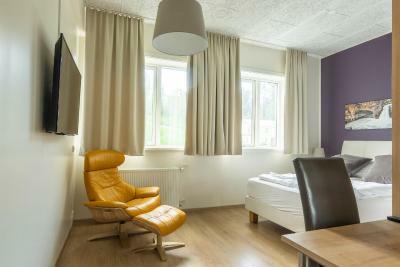 I liked the rooms, everything you need was there! They even had a television with netflix on it. The minifridge was also really convenient. Great!